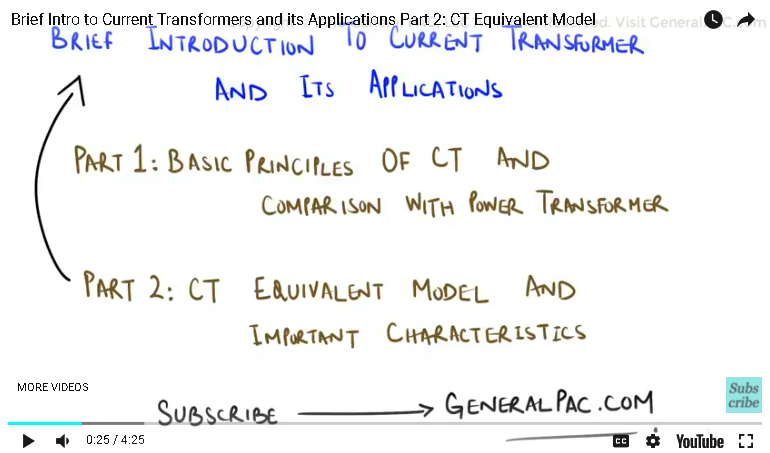 In part 1, we talked about the basic principles of a Current Transformer and how it differed with a power transformer. 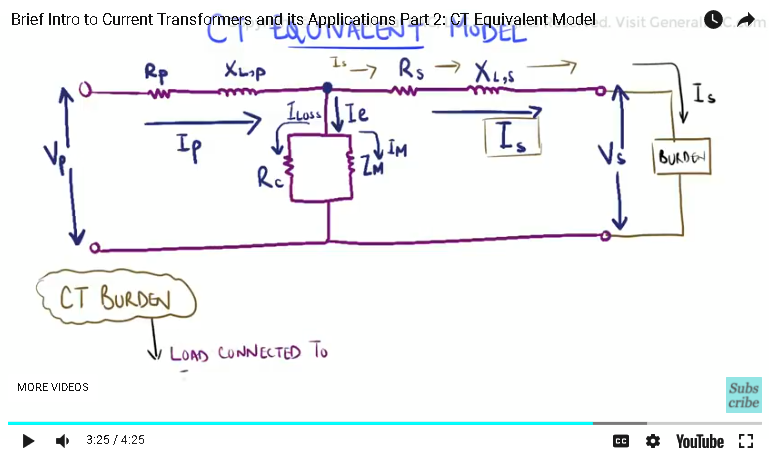 In this part, we shall briefly discuss the characteristics of a Current Transformer with the help of an equivalent circuit model for an ideal CT.
Let us now consider the equivalent model of a current transformer. As we can see, there are various parameters to consider. We will be going through them one by one. Let’s begin by considering the parameters on the primary side of the current transformer. First, we have the parameter “Vp”, which can be defined as the rated voltage on the primary side of the Current Transformer. This is the line side of the C.T.R connection. Next up we have “Ip”, which is the current flowing through the Primary side of the CT. The resistance components, “R p” & “R s”, are impedance parameters, driven by CT construction. And due to the generation of flux in the primary and secondary windings, this results in the generation of a leakage reactance, which can be observed in the equivalent model on both sides. “Xlp” and “Xls” are parameters that describe the leakage reactance of the Current transformer. It is responsible for a voltage reduction on the secondary terminal of the current transformer. Moving over to the secondary side, we have “Vs” which is the rated voltage on the secondary side of the Current Transformer. Then, we have the excitation current “I e”, which is used to energize the magnetic core of the CT. It is also useful in calculations involving CT saturation. We will be talking more about CT saturation in a later topic. Furthermore, this excitation current quantifies the amount of CT error which is present in the circuit. The greater the value of “I e”, the more error being produced in the Current transformer, and vice versa. The final current value is “I s”, which flows from the secondary winding towards the load. “Rc” can be defined as the resistance responsible for the core losses, which include the losses incurred due to eddy currents, as well as hysteresis. Under normal conditions, these losses are constant since they are derived from CT construction. And finally we have “Z m”, which is an inductance responsible for producing the magnetic flux. 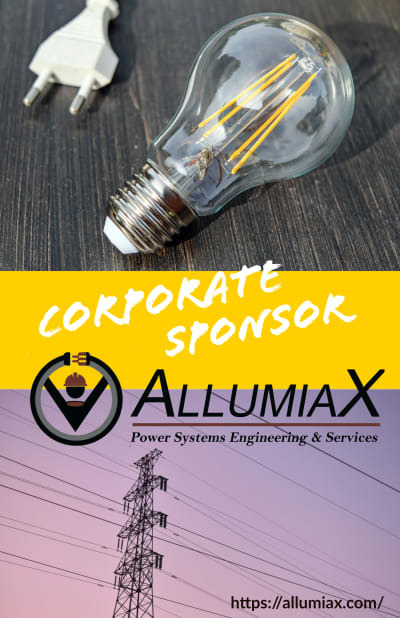 This flux is critical for proper transformer operation. Another important parameter to consider is the “CT burden” which can be defined as the load connected to the secondary side. 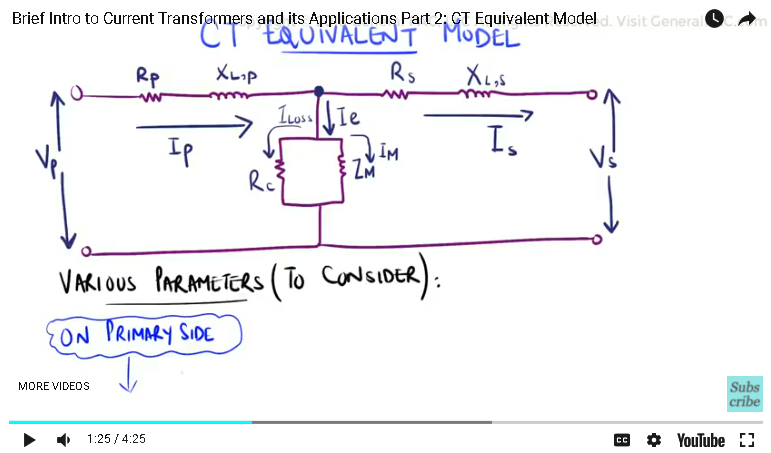 The CT burden is typically relay and meter impedance, as well as impedance of the wires that connect relays and meters. Again, these loads are connected directly to the secondary terminal. 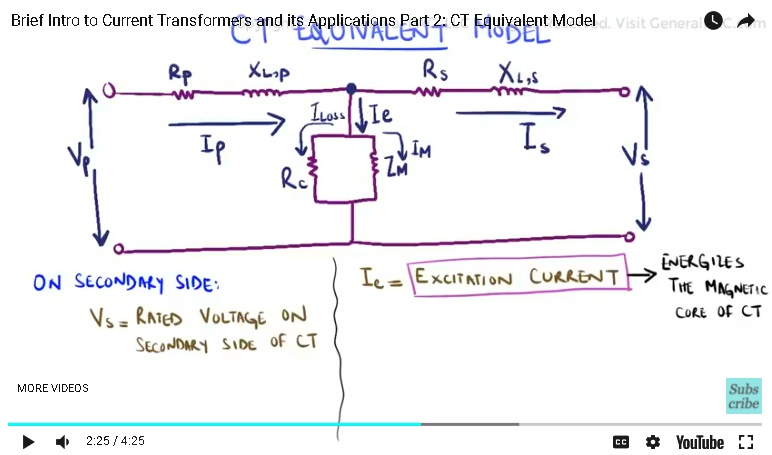 To summarize the discussion, Transformer secondary voltage, magnetizing current, and CT burden are all closely linked with each other. This will be discussed in much greater detail in later topics. In the next part, we will discuss about the accuracy of a CT model and its importance for protection and metering. Visit our Blogs Sections Now!